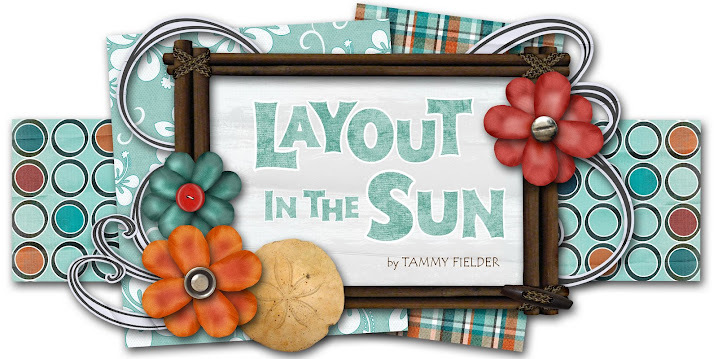 LAYOUT IN THE SUN: My Craft Space! Yay! I finally got my new craft space put together! Mind you, it is REALLY small, but I managed to squeeze a lot in. 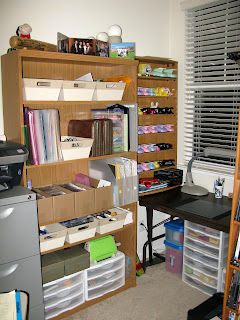 My husband cleared out the window alcove in his office, as well as a bookcase, so I could set up shop. 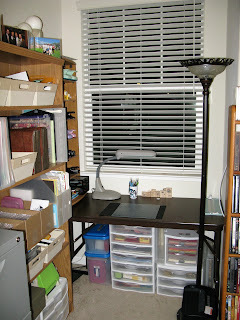 I'm posting a few photos of my itty- bitty craft space, but I haven't actually created anything there yet! I will have to borrow the chair from my husband's desk when I create, and my legs will only go about 10 inches deep under my little 4-foot by 2-foot table... but I will MAKE it work! I'm just so excited to finally have a space!